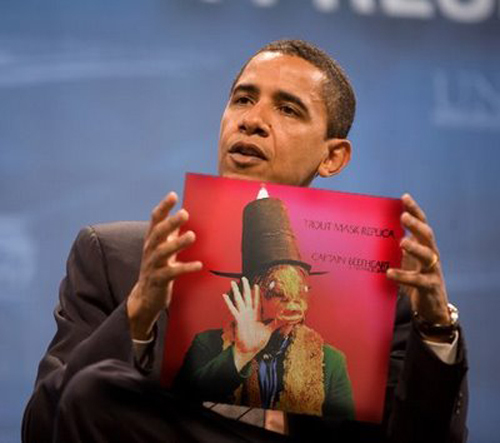 Released in 1969, Trout Mask Replica by Captain Beefheart and His Magic Band remains one of the crowning achievements of the second half of the 20th century. Produced by Frank Zappa, Don Van Vliet’s masterwork was created as if it were an ethnic field recording. As has been thoroughly documented, the musicians lived under cult-like conditions without food or regular sustenance, experiencing ongoing rigorous "music lessons" by Beefheart. The great British deejay John Peel has said it best: "If there has been anything in the history of popular music which could be described as a work of art in a way that people who are involved in other areas of art would understand, then Trout Mask Replica is that work." Still, even today, the album's influence knows no bounds, its mysteries circuitous and neverending. THEY'RE COMING TO TAKE YOU AWAY, HA-HAAA! !